Security & Identity Solutions Ltd ("Spectrum Positive"), respects personal information and is fully aware that important data is an integral part of privacy. Spectrum Positive therefore makes sure that personal information is safely protected, that the purposes for which it will be used are clearly specified, and that it is managed and used in an appropriate manner to maintain its accuracy. "Personal information" refers to information that can be used to identify an individual. This information includes, without limitation, name, hobby, information regarding purchased products, services, and details of inquiries to Spectrum Positive. Spectrum Positive collects and uses personal information in an appropriate manner. Spectrum Positive implements measures to prevent illegal access, loss and / or leakage of personal information to third parties. Spectrum Positive observes the requirements of the Data Protection Act regarding the handling of personal information. 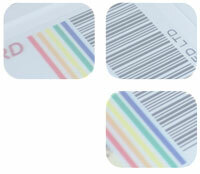 Spectrum Positive strives to continuously improve its practices to protect personal information. You transfer data outside of the European Economic area only to countries with an adequate level of data protection. Personal information is not collected on this Web site unless you wish to submit it. To confirm your personal information, contact the administrator (Dennis Ricketts) of the Web page to which the information was submitted. Contact Number 01495 757 153. Spectrum Positive will only collect the necessary information to conduct a relevant transaction with a customer. Categories of required information are: (Name, Address, E-mail, Address, Telephone numbers). Information gathered will only be used for invoicing and delivery and will not be shared with any third party with the following one exception. Spectrum Positive supports the Metropolitan Police initiative to prevent the sales of equipment for illegal purposes. Information may be shared with law enforcement for the purposes of preventing fraud. This policy was last updated and is effective from 22 May 2018. Spectrum Positive may change this Policy at any time therefore you should check this page from time to time to ensure you are happy with any changes.